The Oliver Gal Artist Co. is a growing art and lifestyle brand in South Florida, created to capture life's most haute moments, avantgarde objects and splendid lifestyles in art and other products, spearheaded by sisters and artists Lola Sánchez & Ana Gal. The Oliver Gal Artist Co. is launching Acrylic Surfboards in Atlanta. The Oliver Gal Artist Co., a manufacturer of contemporary wall art, has a new category it’s introducing at the July 10-16 Atlanta International Gift & Home Furnishings Market. The Miami-based art crafter is introducing a new line of Acrylic Surfboards, a launch officials say showcase the artistry and quality of the brand. 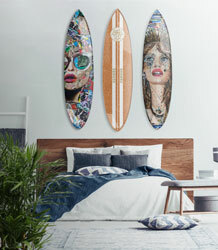 “We absolutely love the work that we do,” said Ana Sanchez-Gal, president of the Oliver Gal Artist Co. “Our new Acrylic Surfboard designs use vibrant, high-quality inks on super high gloss panels to create the illusion that the art is floating from the wall”. The new collection features fashion-inspired statement pieces like the French Board in burnt orange hues as well as graphic collage boards highlighting powerful female icons. In addition, they will be showing all their pieces like the ARTS Award-winning Feather Love Gold embellished shadow box and eco-chic Botanical Moss Live Art. Oliver Gal shows in Building 1, 9-A-19. The Oliver Gal Artist Co. was honored as the industry leader in wall décor manufacturing at the 29th Annual ARTS Awards, during a gala event held Friday, January 19 at the Hilton Anatole hotel. The ARTS Awards is the premier international awards program for the home industry honoring manufacturers, retailers, designers, and sales representatives. It is held each January during the Dallas Total Home & Gift Market. “Over 19 different nationalities, under one roof, make up the Oliver Gal team. We work together to deliver a wall décor revolution worldwide. 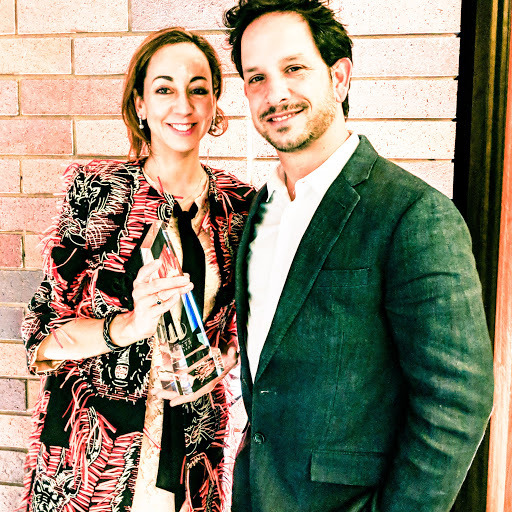 This award is an homage to our team, to diversity, to passion, to creativity and to the pursue of the American Dream, which for Oliver Gal started in our - Assi's and I's- apartment 15 years ago,” says Ana Sanchez Gal, Co-founder and Co-CEO of The Oliver Gal Artist Co. The outstanding craftsmanship, innovation, and design of the products of the Oliver Gal Artists Co. team has earned the recognition of their peers. With their experience in trendspotting and mastery in execution, they have achieved a style that generates interest and sales, maintaining the highest quality. Oliver Gal will be present at the 2018 Winter Tradeshow Circuit: The Market for Home Lifestyle & Gifts at NYNOW in New York City, which will run from February 4th through the 7th, they can be found at booth 2936 in Javits Convention Center, and High Point Spring Market running from April 14th through the 18th at their permanent showroom location in the IHFC building, space D-237. They just wrapped a successful show at The International Gift and Home Furnishing Market that took place in Atlanta’s Americasmart from January 9th through the 16th, in their permanent showroom in Building 1, Room 9 A-19. Oliver Gal is an Art Collective founded and led by sisters Lola Sanchez-Maehle and Ana Sanchez-Gal. Oliver Gal focuses on creating art that speaks to their modern consumers and brings the essence of most-coveted art pieces to their walls without the gallery pricing. Founded in Miami, Florida in 2012, Oliver Gal continues to produce a large array of pieces in as many different mediums. For more information please visit OliverGal.com. 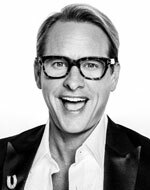 The Oliver Gal Artist Co. is collaborating with Emmy-winning television star, celebrity stylist, author and fashion designer Carson Kressley on a new line of wall art. The exclusive capsule collection will be unveiled Dec. 4, during a special event at the Oliver Gal pop-up shop in Miami, hosted by Kressley and Oliver Gal founders Lola Sanchez and Ana Sanchez-Gal. The new line showcases pieces inspired by Kressley’s favorite imagery, “combining his love for bold colors, high fashion, whimsical commentary and especially dogs and horses,” according to a press release. Kressley is a lifestyle expert known for his work in television programs including ABC’s Dancing with the Stars, OWN’s Carson Nation, Lifetime’s How to Look Good Naked and Bravo’s Queer Eye for the Straight Guy, for which he earned a primetime Emmy Award. He is also a frequent style contributor on The Oprah Winfrey Show, ABC’s Good Morning America and others, and a New York Times best-selling author with three books to his credit.